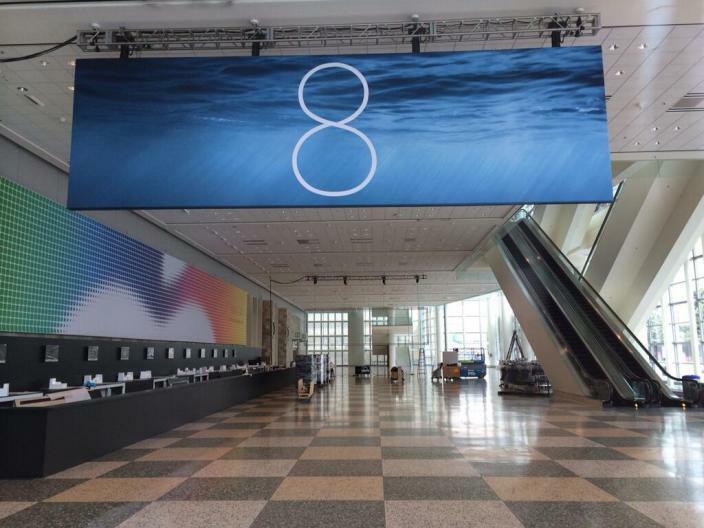 Well iPhone 4 users Sorry, you won’t be getting iOS 8 this fall. At the WWDC Keynote on Monday, Apple unveiled new versions of iOS and OS X, and rolled out several interesting features. The changes that were outlined go beyond cosmetic changes, such as support for Indian language keyboards, though there’s no mention of system-wide local language support so far. Healthkit is one of the new features that might be incredibly useful to people, as it can gather all the information from various health and fitness apps and devicesAt present, if you have a different health apps or devices, then the data they collect sits in its own silo, but the new Health app will – with the user’s permission – get specific information from other apps and devices to more comprehensively manage your health. Messages gets a major update, and you can now add and remove contacts in group messaging, leave a conversation, and set up a do-not-disturb mode. Users can also go to an attachment view to browse through the photos and videos within a conversation, and you can send self-destructing voice and video messagesThese features could be found in different apps, but integrating them into a single place sounds like a great idea. Also the new multitask window shows the recents and the favourite contact of yours. The notifications have been enhanced. At last, the new iOS 8 provides with a way to answer notifications without having to leave your app. You can also do the same from the lock screen, without having to unlock your phone. Apple still hasn’t made room on our home-screens for widgets, but you now have them in the notification centre. There are many ways in which this kind of development could be useful, which were highlighted by Apple itself, and we are excited about this. The only catch is that the notification centre has been getting pretty crowded, and we shudder to think of what it would look like if Candy Crush Saga and Clash of Clans get to post notifications. Craig Federighi explained Apple’s new sharing features, saying, “Once you’ve set up your family as a unit, you automatically share photos, calendars, reminders, or find my friends”In the home we’re used to sharing physical media, but increasingly our media is in our devices. Now you can get at not just your purchases, but the purchases of everyone in your family.” It works with up to six family members…on one credit card. Sounds risky, but it means parents get a prompt to approve new purchases. iOS 8 brings the biggest changes to the keyboard since the very ﬁrst iPhone. Now you can tap to choose the perfect suggestion for your next word. And for the ﬁrst time, third-party keyboards will be available. Typing as you know it might soon be a thing of the past.iOS 8 predicts what you’ll likely say next. No matter whom you’re saying it to. Now you can write entire sentences with a few taps. Because as you type, you’ll see choices of words or phrases you’d probably type next, based on your past conversations and writing style. iOS 8 takes into account the casual style you might use in Messages and the more formal language you probably use in Mail. It also adjusts based on the person you’re communicating with, because your choice of words is likely more laid back with your spouse than with your boss. Your conversation data is kept only on your device, so it’s always private. Another announcement that sounded great to us is Continuity, shown off during the OS X Yosemite part of the keynote. Apple says the new continuity features in Yosemite make Mac and iOS device perfect companions. When a user’s iOS device is near their Mac, Handoff allows the user to start an activity on one device and pass it to the other. Instant Hotspot quickens the process of using the iPhone’s hotspot. One interesting change is the increased support for third parties, even as first party options become more robust. For example, TouchID is now available for all apps to use, which could be very useful for financial apps that want to deliver an extra layer of security, and Apple has also opened up extensions on Safari, something that has been lacking for a while. In another move that will bolster third parties, Apple has opened the doors for third party keyboards. Apple has also included a new Photos app that includes new editing capabilities that can be used with a simple thumb gesture. It seems pretty easy to use, especially their equivalent to Photoshop’s Shadows and Highlights, which uses smart image analysis to get pretty great results (at least in the demo.) The technology seems similar to the iOS version of iPhoto but with a much simpler interface. Apple is also building a OS X Yosemite version of Photos, fully built around Apple’s cloud. This may indicate that they are going to phase out iPhoto. All photos are now in the Cloud with 5GB of free storage. Other storage plans, Apple says, will start at $1 per month. There’s no more distinction between local and cloud. Your local device will act as a cache for what’s on the cloud—hopefully with lots of security, so nobody can access your nudie pics. If you’re already using Dropbox then you know what iCloud Drive is. Apple’s first party cloud storage system will be useful since it will likely get supported by most third party apps, but Dropbox is so widespread these days that most apps mention Dropbox sync as a feature on their app store listings. Still, for people who don’t use too many third party apps, iCloud Drive will be very useful. The service will come with 5GB of free storage, plus $0.99 per month for 20GB, and $3.99 for 200GB, which is pretty reasonable. They have updated Siri to listen constantly. When you plug it into your car, for example, you just can say “Hey Siri” and it will activate automatically—without you touching the home button at all. Another good addition is the integration of Shazam: Siri will now be able to recognize songs on the spot without opening that horrible app. It will also let you buy a new song from the results screen. This is the new apple’s engine for graphics which will enhance the graphics almost equivalent to the console graphics. We’ll check out more about it in the later post about the developers.